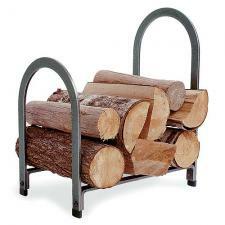 *Offset arches and compact proportions give this rack a pleasing design. Holds enough wood for a couple of evening fires. *Measures 21" Long x 13" Wide x 25" High. *Quality product made by Enclume in the USA - 20 lbs.